Sea to the Pacific Ocean. It is one of the leading and most challenging engineering ventures ever undertaken. It had a huge influence on shipping between the two oceans, substituting the long and hazardous means via the Cape Horn at the tip of South America. The distance from New York to San Francisco via the canal is only 9,500 km, compared to 22,500 km on the route around Cape Horn. The Panama Canal has had a far-reaching effect on the global economic and commercial growth during the 20th century. 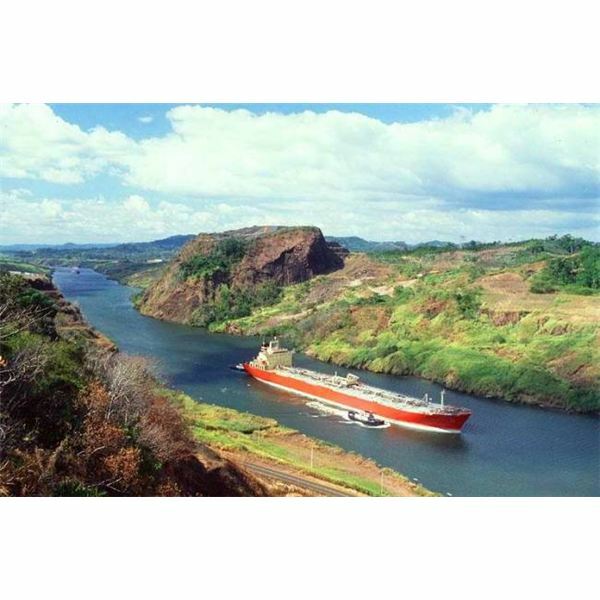 By providing a short and comparatively economical passage, the Panama Canal has significantly improved world trade patterns, stimulated growth, and has been a main force for economic development in many distant areas of the globe. are one of the magnificent marvels of engineering history. The length of the lock structures exceeds 3 kilometers. 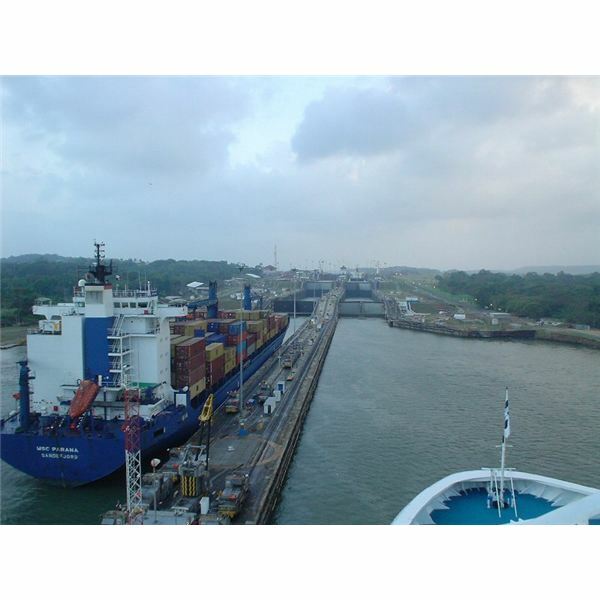 The locks have six steps that restrict the size of ships which can travel the Panama Canal. These steps have two lock chambers due to which the ship traffic is increased. The lock chambers are huge concrete structures with the thickness of side walls ranging from 13.7 to 15.2 meters at the base. Less strength is necessary towards the top, due to which the thickness is reduced. Each lock chamber needs 101,000 cubic meters of water to fill it from the lowered position to the raised level. The same quantity of water must be released from the chamber to again lower it. Embedded in the center and side walls are three huge water culverts that carry water from the lake into the chambers to lift them, and from each chamber to the next, to lower them. The diameter of the culverts at the beginning is 6.71 meters and it is reduced to 5.49 meter. Fourteen cross culverts are connected with the main culverts, and continue under the lock chambers to the floor openings. The gates divide the chambers and hold back a significant quantity of water. The gates are made consistent and robust to endure accidents, since the malfunction of a gate could let loose a disastrous flood of water. The size of the gates is huge, ranging from 14.33 meters to 24.99 meters high, and are 2.13 meters thick. The original gate equipment consisted of a large electric motorized drive wheel and other mechanisms to operate the gates. These systems were changed to hydraulic struts in 1998, after 84 years of satisfactory service. The gates are buoyant and hollow like a ship hull, and are extremely well balanced. Two 25 HP motors are used to shift each gate leaf. If one motor breaks down, the other motor can still manage the gate at decreased speed.